Breast cancer (BC) is the leading cancer among women worldwide and in 5–10 % of cases is of hereditary origin, mainly due to BRCA1/2 mutations. 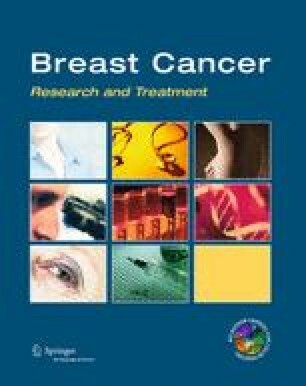 Therefore, the German Consortium for Familial Breast and Ovarian Cancer (HBOC) with its 15 specialized academic centers offers families at high risk for familial/hereditary cancer a multimodal breast cancer surveillance program (MBCS) with regular breast MRI, mammography, ultrasound, and palpation. So far, we know a lot about the psychological effects of genetic testing, but we know little about risk-correlated adherence to MBCS or prophylactic surgery over time. The aim of this study was to investigate counselees’ adherence to recommendations for MBCS in order to adjust the care supply and define predictors for incompliance. All counselees, who attended HBOC consultation at the University Hospital Heidelberg between July 01, 2009 and July 01, 2011 were eligible to participate. A tripartite questionnaire containing sociodemographic information, psychological parameters, behavioral questions, and medical data collection from the German consortium were used. A high participation rate was achieved among the study population, with 72 % returning the questionnaire. This study showed a rate of 59 % of full-adherers to the MBCS. Significant predictors for partial or full adherence were having children (p = 0.0221), younger daughters (p = 0.01795), a higher awareness of the topic HBOC (p = 0.01795, p < 0.0001), a higher perceived breast cancer risk (p < 0.0001), and worries (p = 0.0008)/impairment (p = 0.0257) by it. Although the current data suggest a good adherence of MBCS, prospective studies are needed to understand counselees’ needs to further improve surveillance programs and adherence to them. Adherence to the breast cancer surveillance program for women at risk for familial breast and ovarian cancer versus overscreening—a monocenter study in Germany. The online version of this article (doi: 10.1007/s10549-016-3748-5) contains supplementary material, which is available to authorized users. This study was supported by a research grant of the German Society of psychosomatic in gynecology (DGPFG e.V.). The authors thank the NCT Heidelberg for the survival inquiry. There is no conflict of interest by any author. This study was approved by the local ethical committee (S-528/2013) and performed in accordance with the Declaration of Helsinki.